C.G. Bauer is editor of and a contributing author to the CRAPPY SHORTS short story collections. 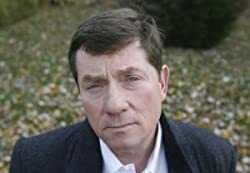 He's also author of the horror novel SCARS ON THE FACE OF GOD: THE DEVIL'S BIBLE (2010 EPIC Awards runner-up for best in eBook horror), which horror novelist Scott Nicholson dubbed "hotter than the flames of hell." Raised in Philadelphia, Chris now lives in Doylestown, PA, with his lovely wife Terry and their supermutt Rory. His short fiction has appeared in Thuglit, Shroud Magazine and 100 Horrors, and has been podcasted by Well Told Tales. He's been recognized by the National Writers Association, the Writers Room of Bucks County and the Maryland Writers Association. Please enter your email address and click the Follow button to follow C.G. Bauer!